Business owners rely on John to provide accurate financial information that helps them realize the impact each decision has on future growth. John builds financial projections using key performance indicators to help owners understand the constant flux in their business. John joined the Kirsch team in 2015. As an analyst, he specializes in preparing business and individual tax returns, identifying tax planning opportunities, consultation and advisory services to bookkeepers and owners, and executing bookkeeping and other accounting services. 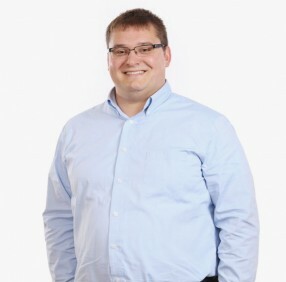 John is currently pursuing a Certified Public Accounting license to further his understanding of the accounting profession, and further his ability to assist clients with their accounting needs. During his college days, John had the opportunity to enjoy his love for baseball as a member of the Miami University baseball team. Now he spends his free time working out, playing basketball with friends, golfing, time with family, and with his girlfriend. John enjoys entertainment in local hotspots: visiting the zoos, cheering on the Red’s or hiking at various spots throughout Ohio.